The first digital target distribution of marketing in which anyone can think of is social media platforms like Facebook and Instagram, and no others can outperform these channels, but is that really so? Whatsapp, rated as having the highest user consumption next to Facebook, has always been constricted to private or group messaging purposes, but for viral marketing purposes, seems such a redundant and scoffed idea to most people, as their have notions that they will be branded as annoying spammers instead of gaining positive reputation. This is where online marketers miss a lot of business prospects, thinking that they are more professional in overreliance of email marketing and social media marketing without any awareness that they are truly far behind. 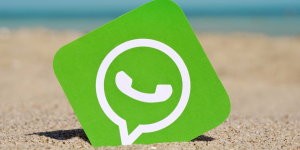 Why is WhatsApp the perfect station to expand your business, especially startup businesses? First thing marketers must know is, Facebook owns WhatsApp, and we need to acknowledge that the effects of WhatsApp features is much more spectacular than any social media, as WhatsApp can send images, videos, documents, contacts and voice notes as well. Marketing using voice note is not something Facebook, Twitter or Instagram timeline can do. 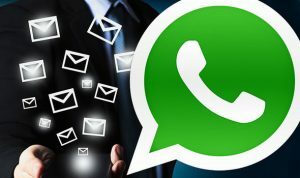 Everyone says that email is the more professional and credible way to reach out to customers, but what makes them wrong is, WhatsApp can be more credible platform of customer outreach because it can send multiple and any types of files, but email cannot attach a lot of video clips and does not have voice note function. 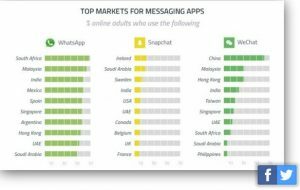 From the comparative analysis index, WhatsApp is recorded as the most actively used app for global communication, even surpassing Facebook usage standing. The main issue marketers are facing here is, they did not know what the underlying problem was in the first place. Marketers have this knack to target young adults, which was the factor that they consider Facebook and Instagram, but what they didn’t know is, WhatsApp is not only used by the younger generations, but that the older generations are even more active in WhatsApp in contrast to other social media platforms, and people of older generations outnumbers the younger generations, because the Gen X has once been labeled as baby boomers. Even in MCMC records in 2017, 96.3% of Malaysians which comprises of 23.6M internet users communicate through text messaging, which topped the cumulative records of other digital gateways. Besides, the Star Online reported that 51% of the Malaysians adapted sharing news on WhatsApp, such as launching of new products or service, which is a perfect opportunity for marketers to connect to customers through WhatsApp being the main platform of building rapport. Moreover, Malaysia is ranked as second after South Africa as the highest Whatsapp comsumption. Through the use of WhatsApp, marketers can communicate even better than livechat or email messaging or any SNS because of the fact that people open text messages more frequently compared to emails and SNS, which gives the higher chance for people to open your message content more often and quicker than other digital platforms. This is extremely convenient and even more interactive method than company sites livechats to position brand image and also to gauge the customers’ psychographic needs by interacting with them and making them feel that they are connecting to real persons. Additionally, people can easily send survey polls on WhatsApp private messaging to rate a company’s service and get quicker and higher response rate, because people are more responsive when the message is sent one-to-one, whereas people tend to ignore the surveys when being sent on SNS. Even so, marketers can build a better customer service quality as WhatsApp is what people use most comfortably and feels most at ease to communicate. 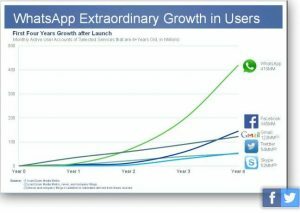 If you would like to know more about WhatsApp marketing, as well as our other digital marketing service offers, please visit www.WaveEvo.com and we will ensure you the best customer experience with our team at Wave Evolution!